With so many diets out there, you may not be sure which one is the best for you. However, you should know that many men choose to go on a Paleo Diet. If you are ready to do this same diet, there are some things that you should know. This is not just your typical diet. It is one you must pay close attention to. You need to not only pay attention what you can tolerate but eating only the best and healthiest things. 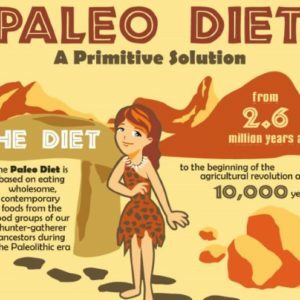 When it comes to the Paleo Diet, there are some things you should definitely do. When you are ready to start on the Paleo Diet, you need to make sure you are eating meat. The meat should include foods such as poultry, lamb, beef, fish, seafood and other meats that are healthy for you. This is the best protein you can eat to help you lose weight and be healthier too. The best type of meat you can eat is wild caught salmon. On the Paleo Diet, you should always eat more eggs. Not only eggs but you should eat egg yolks as well. Many people complain that eggs are filled with saturated fats. However, when you are on the Paleo Diet, with eggs this is not something you need to worry about. Another very important part of the Paleo Diet is to make sure you are eating more vegetables. There are many important ones you should include in your diet such as bell peppers, broccoli, carrots and cucumbers. You can make them in many ways such as steaming, baking and roasting them. Spinach could go on this list as well. You should also make sure you are eating more healthy fats as a part of the Paleo Diet. These are things such as olive oil, bacon fat, lard, coconut oil, almonds and avocados. They are fats that are good for your body and will help you during this diet. 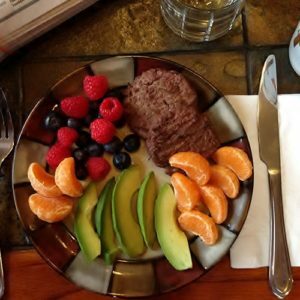 During the Paleo Diet, you should also make sure you are eating more fruit. You should have plenty of blackberries, blueberries and strawberries. The main one to make sure you always have on stock are the blueberries. You have the choice of so many diets out there that you can take part in. Unfortunately, some of the diets out there are not so healthy for you. However, if you are ready to go on a diet one that you should try out is the Paleo Diet. It is quite easy and there aren’t many crazy rules to follow as you find with many other diets.